My aim is to share my experience and knowledge with those that wish to find alternative way of life, reduce stress or just generally become a little happier with themselves. Yoga is available to all & it is not about how you look in the physical body , its how you can enrich your life by feeling fuller, happier, conscious and creating more balance, service, joy and love in every day actions. Yoga can become your best friend, its always available in many forms (through the physical, the Breath, chanting & meditation), it never lets you down to help make you feel better than before you practiced. My journey began in Hatha yoga to Ashtanga, Iyengar, Anusara, Restorative now I combine an eclectic mix to suit the students needs on a given day. A simple act to connect to the present moment, the breath... is yoga. 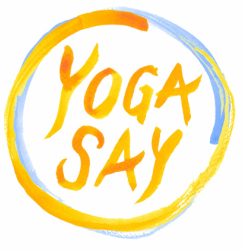 Lets make the world a better place, join me for yoga, breath work and maybe a little chanting. Become a yoga teacher with Swaha training. 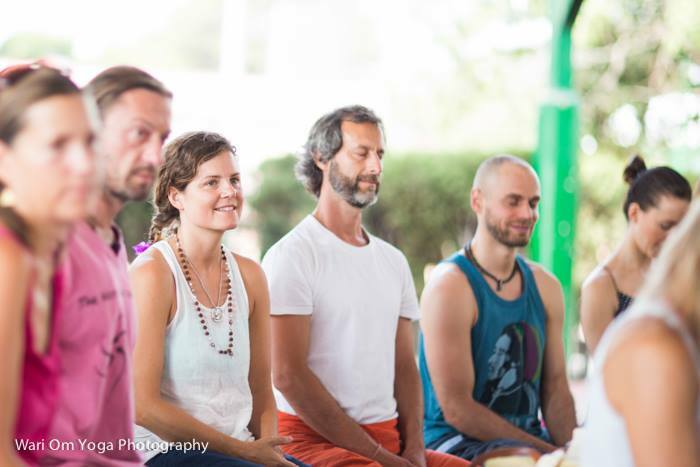 Helen is part of the Swaha 200 hour Teacher Training team, teaching in Jordan, Bali, Greece. Are you ready to advance your personal practice of Yoga? To learn Yoga on a deeper, more meaningful level and to help improve the lives of others by teaching Yoga? 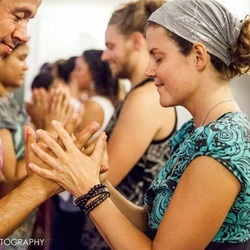 The Swaha Teacher Training program Swaha Yoga Center is a combination of years of experience, expertise and thousands of hours of training concentrated into a one month transformational experience! Students are taught in an environment created to help them feel supported, allow for growth and nourish their personal and spiritual practice. This is done by giving them the chance and opportunity to dive deep and self-reflect in a safe and nurturing environment, exploring the path of Yoga and all of its teachings. Helen is available to book for Skype classes & private classes.